Styles come and go. However, good quality and stability never ever goes out of style. 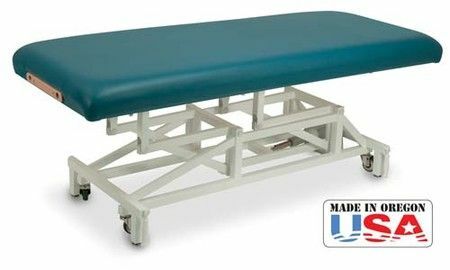 Custom Craftworks' McKenzie Electric Massage Table from Massage Tools offers the best of both worlds. You will discover a dependable table that looks and feels fabulous. This best seller has retractable wheels, a lift mechanism that can accommodate 600 pounds as well as a reliable German motor that is built to last. The quiet motor lifts clients gently so as not to disturb the flow of the visit. The McKenzie also qualifies you for a 50 percent tax credit. Practitioners will love the ease of operation and movement. Clients will adore the comfort and feel. 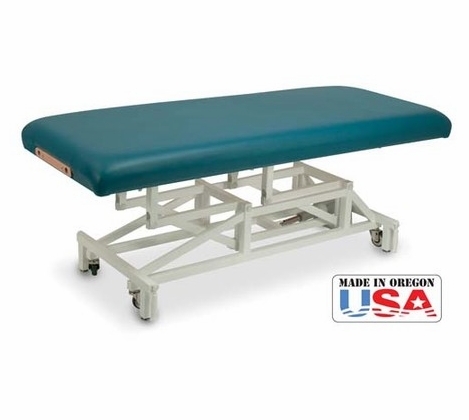 Package includes an adjustable head rest, a matching ankle booster and 25 disposable face covers. You can't beat that.